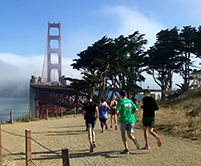 Run with San Francisco's largest running club on the streets (track and trails too) of our city, join us for our happy hours, educational club nights, breakfasts and more! Whether you are training for a 5k or marathon or just want to run with some nice people, the San Francisco Road Runners are with you. 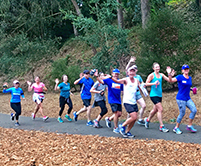 We run five times a week: Saturday for our Club Runs (75+ runners), Tuesday nights at Kezar Track, Wednesday nights from Sports Basement-Presidio, Thursday nights along the Embarcadero, and Sunday mornings on trails in Marin. Now over 500 members (as of January 5th), and growing, of all ages and training paces from 7:00 min/mile to 11:00 min/mile, you'll find plenty running at your pace. Run a race in 2019. Train or qualify for Boston with us or train for San Francisco or one of the World Marathon Majors or another destination race or one of your choice. It’s way more fun and a whole lot easier with others! 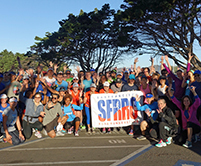 SFRRC inaugural Running Camp - Club Members Only (join today). 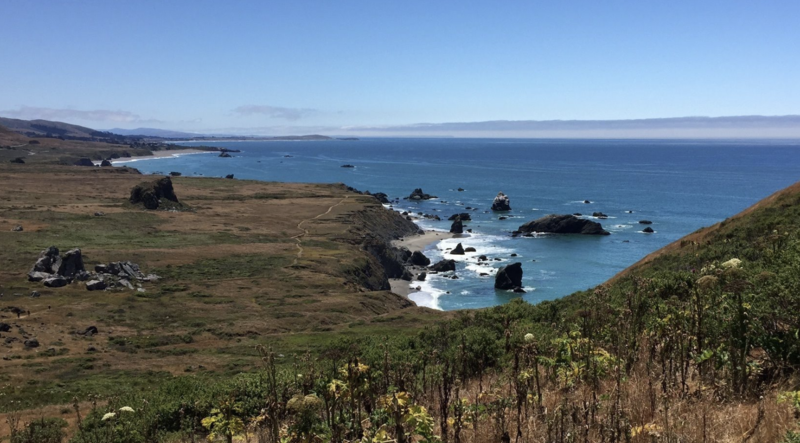 Saturday morning through Sunday afternoon, May 4th & 5th in Occidental and its surrounding running trails and Sonoma coast. Our first run is on the Kortum trail... you can kinda see in the photo. SPECIAL NOTE: Training (plans) for The Biofreeze San Francisco Marathon continue to begin throughout April. We may be the biggest running club in the City, but we prefer to think the most fun with the kindest people too. And THE best marathon training (plans)/coaches. Come on board and join us! If you're not a club member, learn about the benefits & become a member today! Start getting our emails, run locations, race discounts, shoe and store discounts, coaching/workouts, training schedules, and more. In July, we begin our Member of the Month to recognize someone who brings a particularly positive contribution to the club... it might be from a comeback story, or their joyful/helpful presence at club runs, or they inspire others with their beautiful spirit, or they trained with us and ran one exceptional race. We invite our all our San Francisco Road Runners Club members to join us on Strava (a network for runners). Think of it as a way to encourage one another and keep track of your running at the same time. Plus, look back at how you did on previous runs, workouts, races/marathons. More SFRRC info on Strava HERE . Regardless, we hope to see you at our club run this weekend. Please come join us! Members: login for Saturday club run, events, race/discounts, club directory, etc.